There are numerous types of teeth stains; some are genetic, environmental or pharmacological in nature. The most common are surface stains on the enamel or beneath the enamel in the dentin. Surface stains are caused by foods, beverages and lifestyle behaviours, such as habitual smoking or drinking red wine and coffee, as well as eating disorders. Over time, surface stains may penetrate the enamel and change the colour of the dentin, which darkens the overall appearance of the tooth due to the translucency of the enamel layer. When this occurs, the tooth often appears yellow. Your complexion will also have an effect on the inherent colour of your tooth, dentin and enamel as blondes tend to exhibit more yellow tone, whilst brunettes may have a grey tint to their enamel. 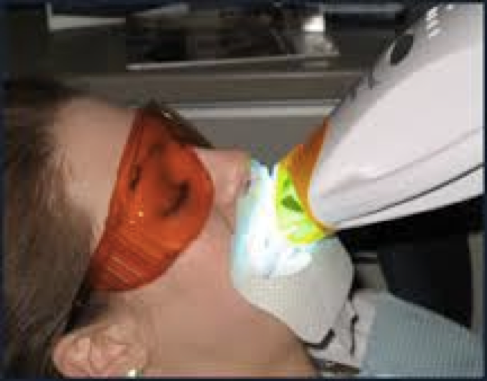 Patients with yellow pigments will often have a higher success rate in shade lightening, so it worth noting that darker-haired patients may require more intense whitening treatments to obtain similar results. 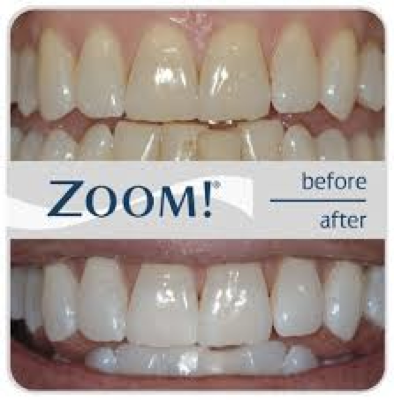 With our Philips in-surgery Zoom whitening system, our specially trained dentists and hygienists can dramatically whiten your teeth and turn back the effects of time in approximately one hour. Unlike some other whitening systems, Philips Zoom White Speed has adjustable intensity settings and can be customised to eliminate sensitivity to maximise your comfort. In fact, over 90% of people surveyed experienced little to no sensitivity with the Philips Zoom White Speed lamp, which is probably why 14 million people worldwide have already been ‘Zoomed’. Ask your dental practitioner to book your session today or buy a Zoom treatment for your partner – achieving up to six shades lighter in an hour is a fantastic gift! We also offer Philips Zoom DayWhite or NiteWhite home whitening kits and whitening strips with trays, customised to fit your teeth for those who wish to whiten at home or maintain their brighter shade.